I've got my third setup consisting of a Rancilio Silva (v3) and Sunbeam cafe series EM0480. Before that was a Francis Francis and the same grinder, but an earlier version. I purchased both the machine and grinder new and very recently. I've had a Silvia before to trial and I really liked the bang for buck, that's why I've invested, I got the Sunbeam because it seemed good when shimmed and a good match for the Silvia. I've spent weeks researching here trying to sort my issue and I'm just about to give up and sell the gear and probably buy a pod machine and put up with significantly lower quality coffee as a result, but I thought I'd post and see if I could find a solution. The issue I have is undrinkable espresso. 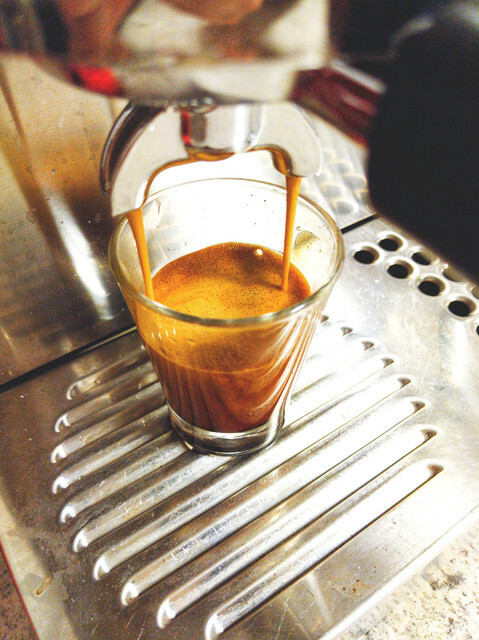 It's always sour no matter the blend, grind size or amount, tamp pressure, extraction time etc. I've shimmed the grinder and I'm grinding in the middle of the grind size range. I did try different thickness shims (washers). I'm using the Silvia double basket and between 16 and 17 grams per dose by weighing with a digital scale that seems accurate. 18 grams seems too much and the machine chokes, 15 too little and extraction is too fast. The extraction is always between 22 and 30 seconds and it always actually looks quite good, but always sour. Is the machine possibly broken, i.e. pressure is off? I can choke the machine by adding 18 grams to the double basket instead of 16 which pours 30ml at 28 seconds, is that a sign the machine isn't making enough pressure? Is the grinder not uniform enough, or is there some other issue? I've tried 6kgs of coffee, from $15 per kilo Vittoria from the supermarket on special to $65 a kilo from a local cafe with amazing tasting coffee. The best was a $40 bag from Kaffeina Group, but it was still undrinkable, not their fault of course, I've put that in a friends machine and it was great. Very frustrating, I know it's not much but this setup is a little more than I wanted to spend and I see some people making great looking and apparently great tasting coffee with the Silvia. Can you choke the machine with 14g and a really fine grind? From memory these baskets can't handle more than about 14-15g. 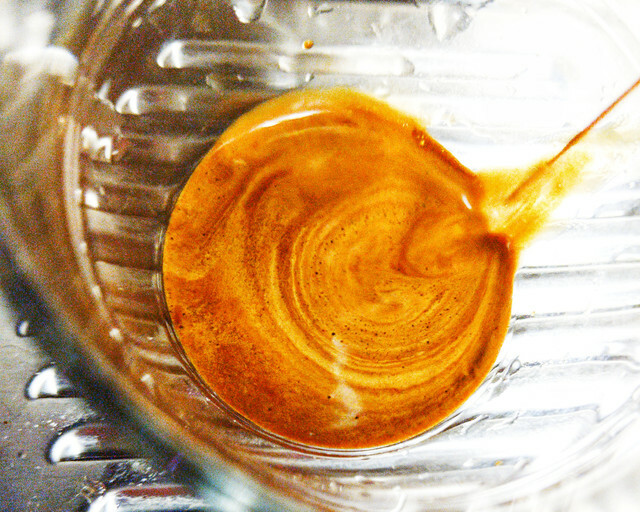 If you are achieving a good looking pour by increasing the dose it will produce underextracted sour coffee. Have you done the 5c test to check your dose isn't too high in the basket and hitting the shower screen? I have done the coin test with 15 and 16g and no indent. At 17g no matter the grind I get an indentation. Can you choke the machine at 14g just by grinding finer? • Pick a dose and stick to it. It sounds like you need to be using 14-15g if you’re using the stock Silvia basket. Don’t change the dose unless all other avenues have been explored. • You then need to pick your yield. A good starting point is a brew ratio of 2:1 so that gives you a yield of 30g for 15g dose. If it’s a darker roast I’d lean towards a shorter ratio like 1.5:1 and potentially the other way for a lighter roast. • Once this is sorted you need to adjust the grind to achieve that yield in about 28-30secs. You then play with those variables in reverse order and make sure you only change one thing at a time. None of this is gospel and there are no absolutes so continue using your taste buds to guide you. I’ve had shots that ended at 20secs that were amazing and equally I’ve had some that took about a minute to reach my yield and also tasted amazing. If it really is a sour taste that you’re getting then you’re under-extracting, but lots of people confuse bitter and sour so we need to know your yields and extraction times to help you further. Hope this all makes sense. Please report back - good luck. level3ninja and woodhouse like this. First of all, thanks so much for your time guys, even though I'v solved nothing, it feels great having people obviously more competent than me helping out a noob without any condescension, really appreciate the prompt and helpful replies. Yes, after the post here about lowering my dose to 14g, I tried it and got a super fast extraction, so ground finer, a more decent extraction but still too fast and tasting much more sour than usual, then one step down and it choked. I tried twice in case the 14g dose wasn't measured accurately and it choked again. I should first mention water is mains, but filtered through a Brita jug with a new filter. I also purged the machine again with Cafetto, by brewing a light dilution and by back-flush with the blind basket. I ran HEAPS of water through and seasoned with the 14g dose testers. I'll stick to 15g now then. Having less variables will be much less frustrating. I'm also distributing and tamping with a distribution tool and a torquing tamper, not because I think they work, but in order to remove some variables (distribution methods and tamp pressure). I'm confident it's sour. I like bitters, I've been drinking coffee since 8 (I'm 40) and I also drink bitter Italian soft drinks and liquors (like Fernet Branca). I can almost never achieve a long 30ml extraction with the 14 or 15g dose, it's either fast (well under 20 seconds) or the machine chokes. With the 16g dose I can achieve a 30 second extraction, but as I said, it's sour, never bitter. My current beans are a darker roast, the roaster described them as medium dark, more on the dark side as I asked for something sweeter and forgiving, more traditional Italian than what i usually have at my favourite cafes. Thanks again, I'll attempt to get a video up showing the set-up and a shot pulled from the grind stage. I’m hesitant to complicate matters, but I feel like I should mention that there’s a slight possibility that it could be the grinder causing problems. Just the fact that you can go from a fast extraction to no flow in one step on the grinder seems suspicious. The EM0480 has a habit of doing this, especially after it’s been shimmed and it could be worth looking at. In my experience they can’t handle any more than about 5 shims, 6 is possible but it’s a delicate balance. So check this first, but also check that everything is put together properly as sometimes the upper burr carrier isn’t put back in properly after it’s been apart. I agree with the above. I started my coffee journey a few years ago with a PIDd Silvia and a sunbeam grinder (one of the predecessors to yours) and the grinder was definitely the weakest link. Last vintage I borrowed another Sunbeam grinder to use with the Silvia as the backup coffee rig at the winery and again the grinder was a real let down. It seems to me that these grinders do not give a particle size distribution that allows decent extract levels without choking the machine, so with a standard flow profile they will yield underextracted coffee. Do you have access to a quality grinder through friends or family? 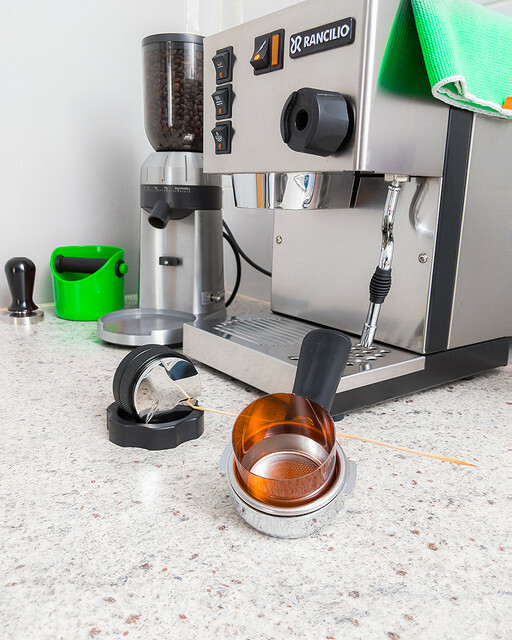 If you could arrange to borrow the grinder or even get some coffee ground to suit, it might help point to the source of your problems. Last edited by Lyrebird; 11th February 2019 at 07:37 PM. No advice ,complete novice, but i have the same setup as you and was in your position about a month ago . Totally frustrated until that one moment it came together ,keep notes of grind setting , amount of beans ( grams) , yeild , times and taste of shot .i only ever changed one thing at a time ,but had a base recipe that was the best at the time and played around that . And found out the hard way about fresh beans . By the way i did get rid of the stock basket big differance . I grind at 5 mostly or 6 sometimes . Stay with it . Steamed milk makes bad shots drinkable . Thanks guys, I do have a good friend with a better grinder. I had a feeling it was lack of grind adjustment or the pressure in the machine and this weekend we'll see if the grinder is to blame. The EM0480 can be an excellent grinder, but as with many appliance brands quality can vary from unit to unit. I’ve had probably 4 or 5 Sunbeam grinders and all of them have been perfectly capable of producing great coffee, but if I’m being honest only 1 or 2 of them were really good. Keep trying cause once you get it dialed in you’ll be sorted. If you can borrow another grinder to try that’d be a good idea for sure. Hooked up a friend's grinder today, a Maccap M2M iirc. Coffee tasted different, however it wasn't better, still undrinkable. Could I have a pump pressure problem? Too high, too low or dropping during extraction? The Macap M2M is a great grinder that should give good results if everything else is right. So in all likelihood that means it’s not the grinder that’s the problem. The only other things that could be causing the issue is something in your process/technique or the coffee machine itself. At this point it would be quite useful if you could post a video. This will help a great deal as if there is something in your process that’s an issue someone should be able to spot it. The other option is contacting the retailer where you bought the machine and letting them know what’s happening. Did you buy locally or online? If it’s local most retailers would be happy for you to take the machine in and run through things in store to help diagnose whether it’s the machine or the operator that’s the problem. It was bought from a physical retailer in Melbourne, I spoke to them and even though it's out of warranty they are keen to help find the solution. I didn't think it was the grinder as I've used this combination before with much better results. No exaggeration, but a Vittoria pod in a nespresso tastes better. Three of four people wouldn't drink the espresso from the Silvia and own of them said it was drinkable but not at all enjoyable. Which is good because I started to think I was being a bit fussy. 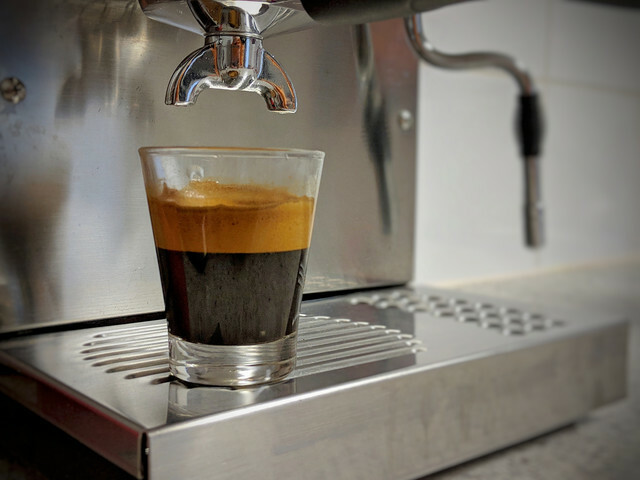 I did take a video, but unfortunately it shows a 25 ish second extraction with a good looking espresso, about 2-4 seconds for the extraction to be seen at the end of the spout after starting to brew. 14-16 grams in the standard double basket, 30ml yield. Nice Crema too, nothing special, but it has a head of Crema. No tiger striping though, none at all regardless of the beans used. So yeah, video looks good. Ok interesting. It could be a pressure or temperature issue. I would check the flow you’re getting without the portafilter in place. I’m not sure what it should be for the Silvia, but I’d say somewhere between 150ml and 200ml per minute. I know you won’t have an accurate way of measuring temperature, but it can still be worth doing with a milk thermometer so give it a go. Measure temp of water in a cup after a 30sec cycle and also the temp of an espresso. If it’s way out you should be able to tell. Sensory evaluation of temp can also work quite well. Will do, I have a thermometer I use for work that should be fine. Will take a bunch of measurements and report back. Without any coffee in the group handle, I'm getting flow of about 5 seconds for 30ml. The temperature at the shower screen (no group handle inserted obviously) is a consistent 75C. Coffee temp after 25 second extraction is a consistent 50-55 C with cup warmed with flushed water. All my measurements are accurate to 5C, the thermometer isn't fancy, but i've tested on known heat sources and it's definitely no more than 10 degrees C out at the hottest temps (about 90C). Uploading a video of the best tasting, but still undrinkable extraction as I type. Scroll to post #20 for starters, other posts allude to there being good Sunbeam grinders (low rpm) and crap Sunbeams (high rpm) . A PM to Tampit to get involved may bring some answers. Seems I really haven't the time and patience for all the variables, maintenance etc. for the Sunbeam. I've decided to use the combo for mill drinks only until/if I can justify a better setup. Appreciate the help, I'll continue to update the thread as I troubleshoot, but I'm quite busy and it's low priority so it may be some time. I’ve just watched both videos and neither extraction looks particularly good. It’s the sort of extraction you get when you’re using stale coffee. From what you’ve said the coffee is definitely fresh so there’s something else going on and I’m not surprised they don’t taste good. I’ve never owned a Silvia so there could be something specific to the machine that I’m not aware of. It’d be great if a current or former Silvia owner jumped in here and commented on the temperature reading in particular. I’m just wondering- are you temp surfing? My understanding is that it’s pretty much a necessity on the Silvia and there’s a bit of an art to it. Isn't a temperature of 75c at the shower screen too low? Matt Perger mentions machines set at a usual 93c and I have seen other mentions of 92c to 96c as the ideal range. Even Paul Pratt's demos of temperature in the Robot show 85c achievable after the basket without preheating, and the Robot is regarded by some as a machine with issues in achieving an adequate brew temperature. That’s probably using a Scace or something similar though. I’d expect to see lower readings using less accurate tools, but I’m also concerned that the temps seen above are a bit on the low side. 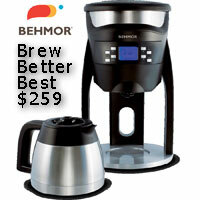 One low cost option to consider might be to change out the brew thermostat if you feel you're up to the task. If you do this don't forget to use thermal paste between the bottom of the thermostat and the boiler surface. Unless you have a more accurate way of measuring brew water temp or pay for a service to check out the machine for temp and pressure, you might just be chasing your tail. Last edited by CafeLotta; 24th February 2019 at 12:28 PM. Also, it looks like the dose may be somewhat low too. I'm waiting for the boiler to rise in temp whilst I'm grinding, which is now directly into the basket. When I'm done tamping is when the light goes out and the boiler is at its hottest, so I purge until the sound of obviously boiling (over 100C) water has dissapeared and should be just under 100 (around 95) and that's when I attach the group handle and being extraction. A number of members here and other sites such as Silvia reviewers say to do. I've tried the 30, 60, 90 second waiting method, I don't believe it's as accurate as listening for the obviously over-heated water and I'm getting more consistent results with the purge method I just described. I'm still not happy with the coffee, my best beans so far are very fresh from Mocopan, but still not great. Apparently it should be 95ish? So yeah, it's too low. My thermometer could be out, but I know for sure it's not out by 20 degrees. I've tried a few different amounts, in the second video it was 14 grams which was recommended here. I've also tried 15 and 16. Personally, 16 seems to be best. Really appreciate the feedback, support and recommendations guys! I was cleaning the machine, VERY thoroughly, i descaled the boiler, back-flushed, tore everything apart and cleaned and cleaned and cleaned, I replaced the water jug filter, vacuumed and air compressed the grinder, toothbrushes, cloths, citric acid -everything, I mean I did everything. 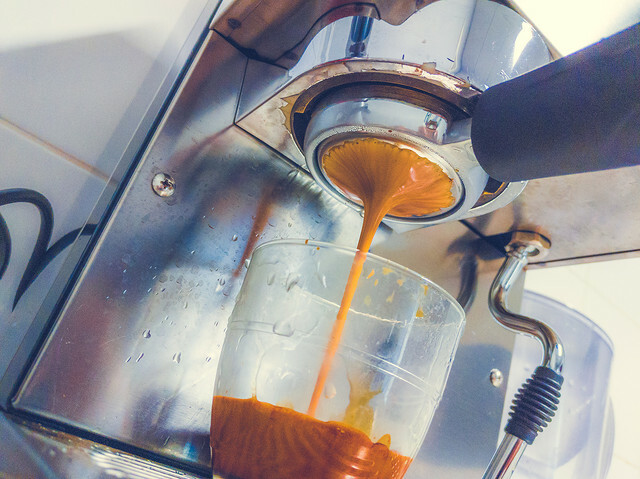 I also changed to Mocopan Pasquale beans, they were 4 days old when I seasoned the machine and pulled the first shot after cleaning, the result was great tasting espresso. Not sure if it's the cleaning or the beans now, but don't care too much, I've got decent tasting espresso again. Only issue now is the grinder. It's either too fine or too coarse between steps. So I either have to dose 14 (fine) or 17 grams (coarse), 14 is a bit low, my tamp sticks to the sides of the basket, 17 grams is a little much, I have to tamp with a lot of pressure and both doses deliver either a slightly fast or slow extraction time of about 20 (fine, 14g) to 30 seconds (17 grams of coarse). So unless I'm mistaken, a stepless grinder or a grinder with more adjustment is necessary? Will definitely make the whole process simpler and more consistent. A week later still pulling consistently great espresso and very nice latte also. They taste better than they look. If they taste as good as they look you should be a happy man. They taste better than they look, but that's probably because I'm using my phone instead of my full frame camera. No or very, very little acidity, no sourness at all, lots of flavour though, caramel, sweetish, some light tobacco hints. The grinder is driving me nuts and it's wasting coffee, I really need to replace it. Either down to 13-14g with a very light tamp or up around 18g with a hard tamp. No steps in between and very difficult not to get huge clumps with the finer setting. I'm going to have to get out and get a new grinder as soon as I have a break from work. Thanks again for your help guys, the only issue now (apart from the grinder) is finding different blends that aren't a step back from what's in the grinder now. I will test at least one new blend though. The other thing to keep in mind is that the Silvia tends to have a factory setting of 11bar. You can adjust the V3 down to 8bar pretty easily by loosening the OPV. You don't even need a pressure guage to do it, the vibration pump it uses has a known capacity curve so you can just put a blind portafilter in and measure the backflow rate. I have a suspicion mine is under 9 bar. This is the third Silvia I've owned and the first gen and second gen felt like they had more pressure. I've no way of knowing this for sure though. 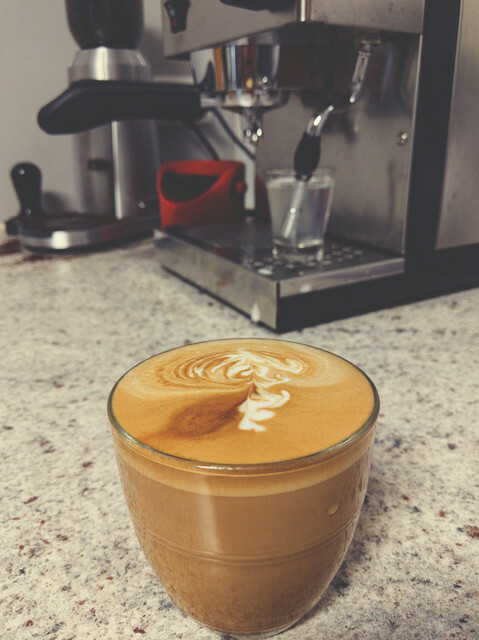 A few more tweaks to the setup and I'm getting much better tasting (and looking) espresso now. 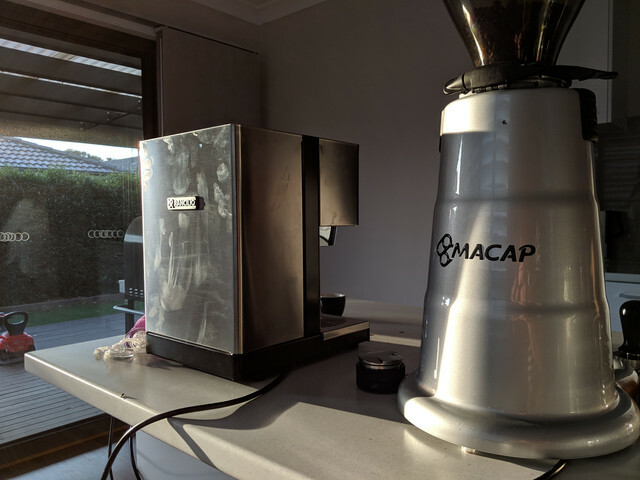 I've decided on a grinder upgrade, a Macap M7D, which should help improve taste and consistency and reduce waste too, the sunbeam means I waste quote a lot of expensive bean constantly attempting to dial in a better particle size, which just never seems right. All other variables have been eliminated. I'm looking forward to seeing how good this Silvia can be. I owned a Silvia for about 10 years and they are bloody good machines. A bit finicky but once you get the hang of them, you can make great coffee. I also paired mine with a Sunbeam grinder (which I still use with a Gaggia at the holiday house). One thing I did (to save the temp surf guess game) was to buy a cheap k type thermocouple and attached the end to the boiler (from memory it sat under one of the screws into the boiler) and simply sat the digital screen on top of the machine (the cord just came out through the bottom or something). Made the process a lot easier, including steaming. I'm very interested to see how much I can eek out of the Silvia before upgrading (to something like the R58). Have you got any more info on your mod? Sounds like a great bang for buck way to more consistent output. Last edited by BobSac; 3 Weeks Ago at 05:35 PM. Incorporated a WDT process and to my surprise I'm seeing a (very slight) benefit, channelling happens less often and is less severe when it occurs. I cut a bottle up to make a funnel which helps keep things clean. Last edited by BobSac; 2 Weeks Ago at 01:04 PM. I find this very interesting i dont have any trouble with my sunbeam grinder ,i am pulling nice shots ,so freinds tell me, i try to keep it real by having the occasional expresso at my local roaster ( leaf bean machine ) and im in the ball park .I am roasting my own beans which adds another aspect but i am liking the taste. I also notice in the picture that you don't have the rubber sleeve for the grinder spout i find this a great help along with the plastic cup insert. I am grinding on 7,6 or 5 . Depending on bean . I don't use the sleeve because I find it retains a little bit of grinds and seems to introduce static also. It's also another thing to clean every weekend. Getting good tasty shots now, better than anything I can buy at any cafe, so very good, still room for improvement though. Dimal and rossross like this. An M7D has replaced the Sunbeam. I had a laugh. She's a massive beast. Taller than Miss Silvia with the hopper off! Thanks for your help, I've come a long way with the Silvia, coffee is much better than it was when I first posted.